When a degenerative disease like arthritis makes it difficult to move without pain, you may be a candidate for innovative stem cell therapy. 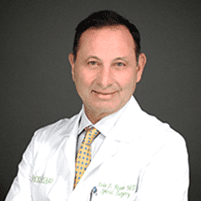 At Spine Group of Beverly Hills in Los Angeles County, John Regan, MD, is highly skilled in creating custom stem cell and platelet-rich plasma (PRP) therapy treatment plans to reduce pain and associated symptoms of degenerative conditions. Book an appointment online or by phone at either of his offices in Beverly Hills or Santa Monica to learn more about the benefits of stem cell therapy. Stem cells are naturally found in your body and have the special ability to regenerate into new cells, like bone, muscle, blood, or brain cells. Stem cells are the only kind of cell in your body that can make this transformation. Stem cell therapy, also known as regenerative medicine, involves the use of these specialized cells for repairing diseased or dysfunctional tissue. This therapy can treat a variety of conditions, such as degenerative diseases of the joints and discs of the spine, including osteoarthritis. Dr. Regan also offers PRP therapy to treat injured discs and joints. What does stem cell therapy involve? Dr. Regan performs stem cell therapy in two parts during one appointment. Initially, he must harvest your bone marrow to retrieve your stem cells. This part of the process may be uncomfortable, but Dr. Regan and his team ensure you don’t experience any more discomfort than is necessary by numbing the treatment area. Once he processes the cells, Dr. Regan injects them back into the site of injury. How long until I can see the results of stem cell therapy? It takes time for the stem cells to develop into new tissue. You may experience mild side effects after treatment, such as swelling and pain for up to two weeks after your stem cell injections. As the stem cells continue to develop over several months, you will notice a significant reduction in pain and increased mobility in the treatment area. PRP therapy is similar to stem cell therapy in that it uses resources from your own body — in this case, blood platelets — to promote healing in your joints and muscles. Dr. Regan takes a sample of your blood and places it in a centrifuge machine, which spins out the platelet-rich plasma needed for treatment. Dr. Regan processes the plasma and injects it into the injured area. PRP injections stimulate your body’s natural ability to heal itself by producing new, healthy cells to repair the damage. What are the benefits of stem cell and PRP therapy? By using your body’s own marrow and plasma, there is less of a risk you’ll reject the treatment or suffer any long-term side effects. Additionally, both stem cell and PRP treatments can provide long-term results to reduce your dependence on pain medications. Learn more about the benefits of stem cell and PRP therapy by calling the Beverly Hills office or scheduling an appointment online.